The auto-car magnate addressed his fall from the top of a vast auto empire. The whirlwind that is Carlos Ghosn's trial keeps dwindling down a rabbit's hole. For those of you who aren't up to speed, Carlos Ghosn, the former head of Nissan Motor, had a press conference scheduled for April 14th. In a tweet posted on April 3rd, the executive magnate had promised "to tell the truth about what's happening." Coincidentally (or not so coincidentally), Ghosn was arrested once again the following day, less than a month after his release on bail. At the time, Ghosn's lead lawyer Junichiro Hironaka attributed the arrest to a cowardly attempt by prosecutors to silence Ghosn, and he promised to release a video-statement from the planned conference. Well, the video broke on Tuesday. And Carlos had a lot to say. From his current holding place in jail in Tokyo, Ghosn issued a video statement in which he reiterated his innocence and made a counter-accusation. Set to a white background, the 7-minute video features a well-rested Ghosn, dressed in a plain sober suit and addressing the world in a 3-point speech delivered in English. After relaying his plea of innocence, the former chairman of the Renault-Nissan Motor Co. began by saying, "...I love Japan, and I love Nissan. Nobody spends 20 years in a country, no one works 20 years in the leadership of a company without love, and without attachment, and without engagement... particularly when those years were marked by such accomplishment and such results..."
It is worth mentioning that, following Nissan's remarkable financial revitalization in 2002, Fortune awarded him 'Asia Businessman of the Year', and, in 2003, identified him as one of the 10 most powerful people in business while its Asian edition voted him 'Man of the Year'. In the video, Ghosn went on to assure that his long ordeal did nothing to undermine the love and attachment he feels towards the company and its Japanese employees. Addressing them directly he said, "I want you to know that. I want you to be convinced of that." Instead, he slammed the company’s management, arguing that the accusations were part of a plot carried out by Nissan executives who were afraid he was planning a merger of the company with its alliance partner, Renault. "This is about a plot. This is about a conspiracy. This is about back-stabbing," he said. Ghosn was adamant about singling out the "plot's" perpetrators, explaining, "I have a lot of respect for Nissan employees. I'm talking here about few executives who, obviously for their own interests and for their own selfish fears, are creating a lot of value destruction..."
He went on to express concern for the company he helped raise from its recession. The real victim of the intrigue, he said, is not Carlos Ghosn but Nissan. 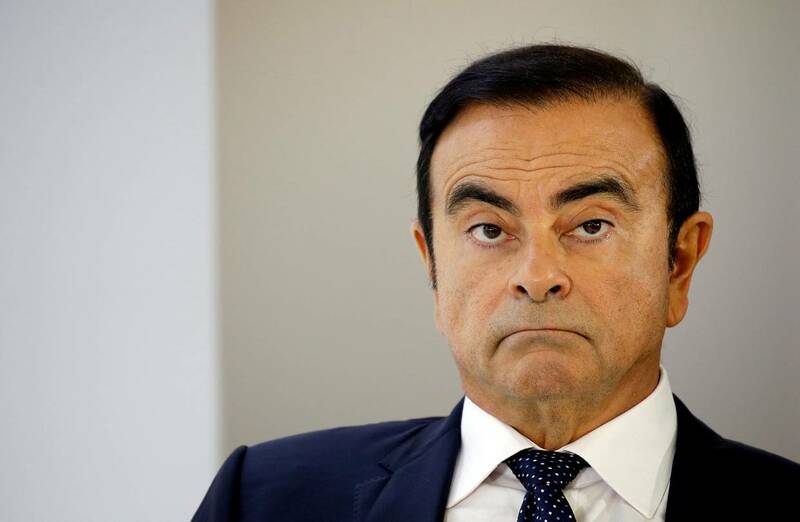 According to Ghosn, the same executives who 'engineered his downfall' are running the Japanese automaker to the ground. He said the accusations against him stemmed from a plot by Nissan executives trying to draw attention away from years of bad results at the company. Ghosn also lambasted the' lack of 'vision' of the executives and their failure to take action, saying, "People are proud to say 'we're not going to do this', 'we're not going to do that' but, at the same time, they don't tell you what we're going to do.. What is the vision for the future." The 65 year old mogul then addressed his tight reign over the company, justifying the need for someone who is willing to make difficult decisions by drawing a distinction between leadership and dictatorship. He concluded by reiterating his trust in the Japanese legal system and its verdict, despite disclosing that his lawyers feel otherwise. The statement was met with mixed sentiment online; some praised Ghosn's resilience and reminisced about his successful rule of the company while others found the statement underwhelming and lacking in names and proofs. Japanese authorities first arrested Mr. Ghosn in November 2018 on suspicion that he conspired to underreport his compensation. He has since been charged over the compensation issue, as well as accusations that he temporarily shifted personal financial losses onto Nissan’s books. The video was broadcasted by all major networks and has so far garnered 18K views on its first day on the Financial Time's Youtube. You can watch it in its entirety below.